Happy New Year, and welcome to 2014. This is a watershed year for the CREW Land & Water Trust as we celebrate our 25th Anniversary! 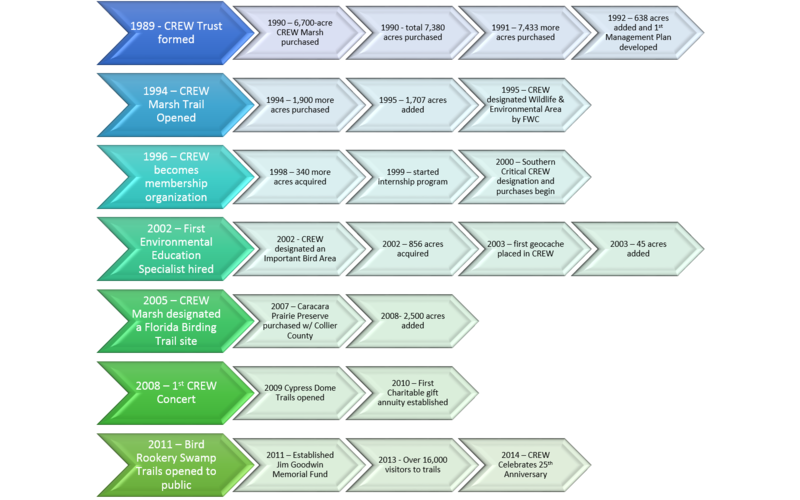 The CREW Trust was formed in 1989 by Joel Kuperberg (a former Naples City Councilman, botanist, head of Florida’s Internal Improvement Fund, and later Director of the Trust for Public Land) as a public-private partnership to coordinate the land acquisition, management, and public outreach for the Corkscrew Regional Ecosystem Watershed (CREW). Since then, this watershed stewardship project has accomplished much that it set out to do, including protecting over 45,000-acres of land within the established boundaries of the watershed. 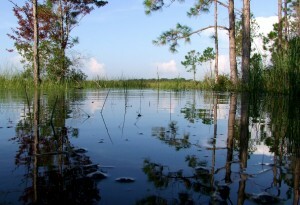 The South Florida Water Management District (SFWMD) – the primary landowner and land manager within CREW. 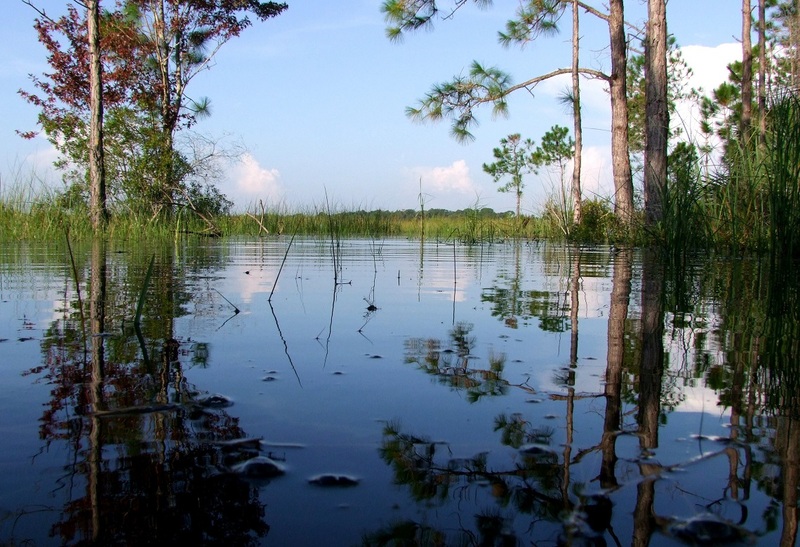 ALICO – which sold the first land to the CREW project – the Corkscrew Marsh unit off of Corkscrew Road. Here’s a very abbreviated timeline of some of the highlights of our 25 years…. And thanks to Chad Gillis and Andrew West for the article in today’s Fort Myers News-Press about the CREW Trust’s 25th Anniversary. One Response to "CREW Trust Celebrates 25 Years of Conservation"